James is a specialist in his field with a wealth of knowledge and vast experience with over 14 years in the health and fitness industry. He has written a life changing book on health and philosophy, (available to download) and pioneered training systems... Gravity©. He remains relentless in his quest for knowledge. With a proven track record of success, working with people from all walks of life, from world class athletes to CEO's, from people in the entertainment industry to keep fit mums. 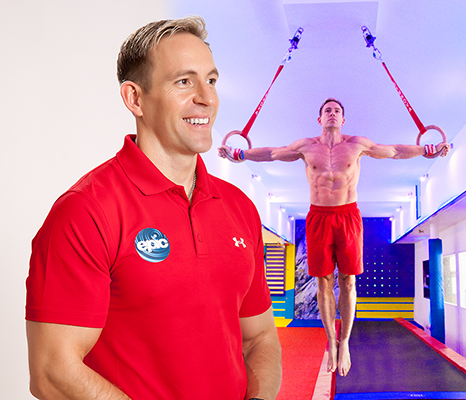 James helps people better their lives and achieve their health and fitness goals. As a role model, a true friend, a hardworking family man he is trustworthy and loyal. He is driven and passionate about everything he does, especially helping others. He certainly walks the walk and is in peak physical condition year round. He is a spiritual person with a positive outlook and his enthusiasm for life is infectious. James has high expectations, expecting most from himself; he pushes the boundaries, seeking consistent improvement. I would recommend James to anyone, as I know he will benefit their life in a positive way. He goes the extra mile, above and beyond the call of duty to help you succeed.